How is it that a man who counts Islay malts as his favourite, who has twice been to that storm lashed sentinel stalwart against the fury of the open Atlantic, the Queen of the Hebrides, but has not tried all the peaty spirit she has to offer? I admit my shortcoming and pledge to remedy it most diligently. 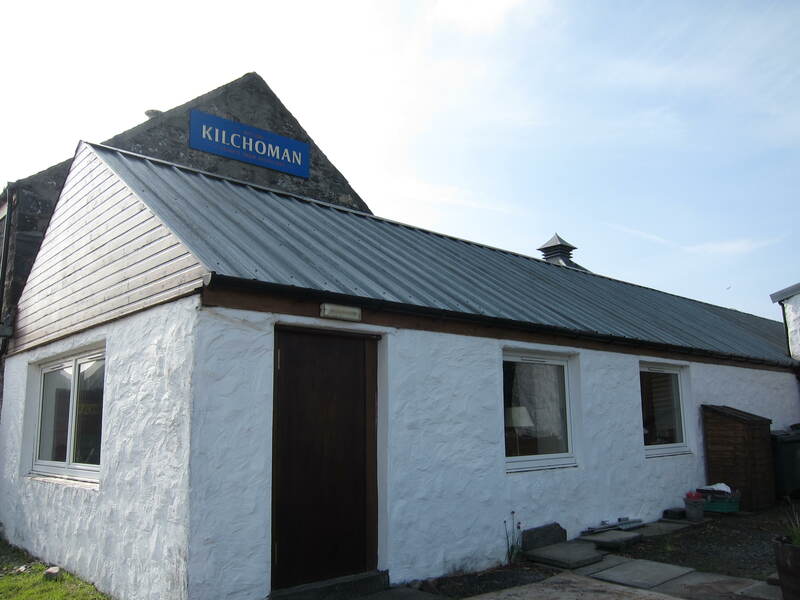 Kilchoman is the newcomer here, the smallest and newest in more than a hundred years. At least until Gartbreck is up and running come 2016 or so. Unlike all the other Islay distilleries, Kilchoman does not have its own land, it is built in a few buildings at the back of Rockside Farm. Rockside Farm is regarded as having the best arable land in Islay, so it is no surprise barley grows here – ‘Publican’ barley suited for the Islay climate and which has provided some malt for Kilchoman. 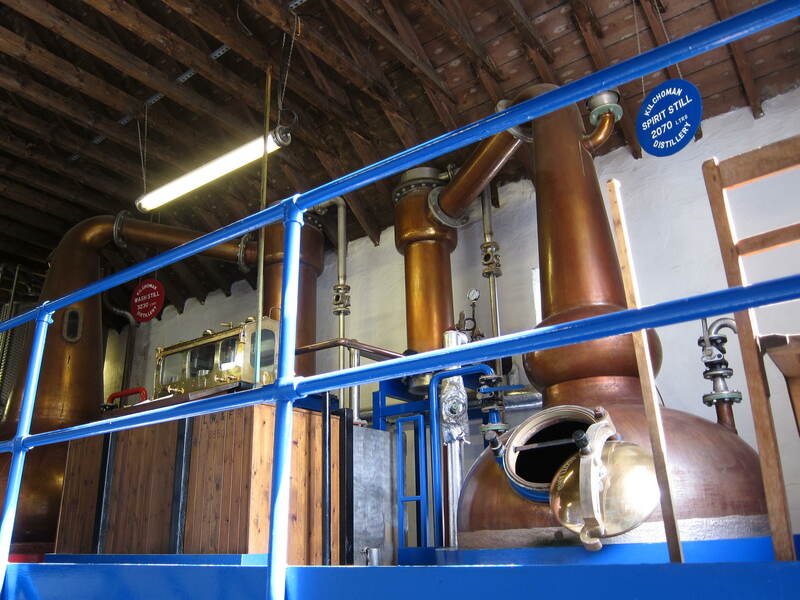 Kilchoman is small (110,000 L a year! 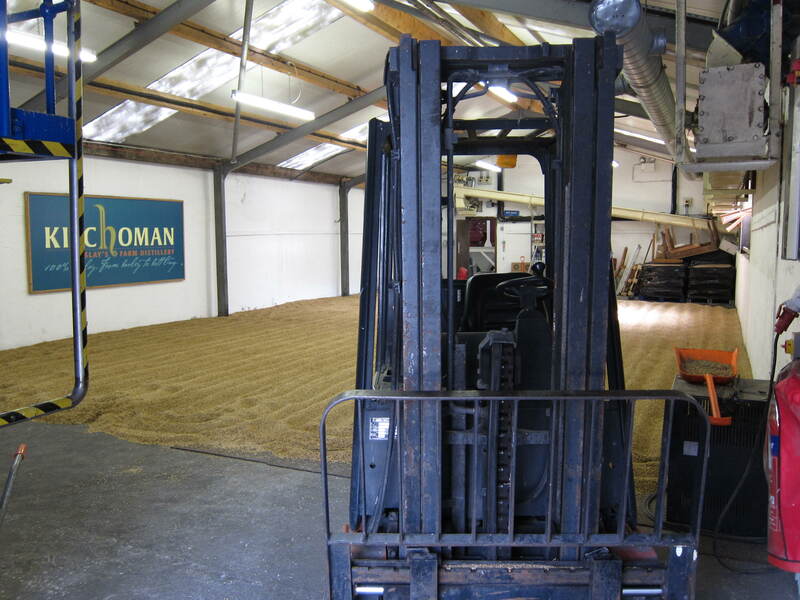 ), so small the malting floor, the mash room and the still room are literally steps from each other. This also means it is not playing the volume game, which also means they’ve got to excel in the quality department to survive and thrive. And what does quality mean here? To Anthony Wills, the man behind Kilchoman, it means traditional farm distilling, hand turned malt, locally grown barley (though ideals must give way to practicality, heavily peated malt is brought in from Port Ellen), directly heated stills, and Islay matured whisky. Also many have asked me how I got to Islay in the first place. 4. Drive the 2.5 hours minimum to Kennacraig Ferry Terminal, decide if you want to visit Springbank on the way back. 5. Hop onto your CalMac ferry. Prebook your tickets and set your schedule of course. 6. Arrive at either Port Ellen or Port Askaig in 3 hours. 7. Drive to your B&B. Prebooked again of course. Islay can be full of bird watchers and whisky drinkers, most B&Bs are full months in advance in the tourist season. 8. Attend distillery tours, but why come all the way here to attend the vanilla tour. Go for the specials, sure you pay more, but it’s usually well worth it. Again, prebook! Nose: Watch out big 3, here comes a challenger. A small mountain of smouldering peat, a gravelly sandy shore and the breezy open sea, why it’s Machir Bay. Dried kelp turning a little ripe, and salty driftwood, but at its malty heart its got honey on toast with a side of sliced green apples. Though young its not immature, but it is saying it could have had more to show. 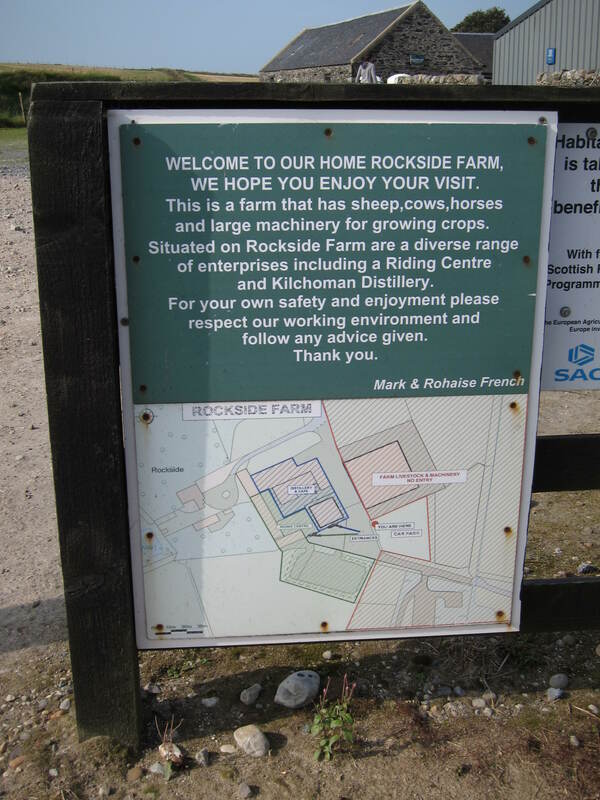 Good things are happening at Rockside Farm. With water: Pithy, acidic sharp but much simpler. Palate: Again, peat, smoke and salt. Also seaweed soup made from brine, a bit of preserved lemon, licorice root and ammonium chloride. Cutting acidity. With water: Peat is sweeter, wafty smoke, chewy grains. Notable lack of obvious new make is encouraging. Finish: Long, smoke, salt and malt. Huge peat monster, but I would peg this at about 8 years old? In its youth it lacks something in expression and complexity of flavour. But give Kilchoman time to express itself fully. If this is the stuff coming out of Rockside Farm, future drinkers will instead be talking of the Big Four. 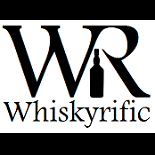 This entry was posted on April 19, 2015 by Whiskyrific in Kilchoman and tagged Kilchoman.